614 Knit Studio’s Grand Reopening Birthday-versary Celebration! Because who doesn't love a sale, right?? 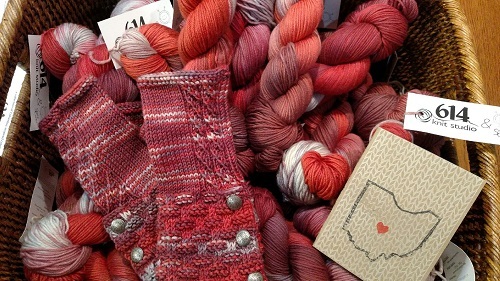 You’re invited to 614 Knit Studio - where Central Ohio comes to stitch, learn, and have fun! Check-out our latest class offerings. 614 Knit Studio is central Ohio's home for fiber arts classes and events - knitting, crocheting, spinning. Our focus in on community, education, and fun! Call or email to inquire about other times, as schedule is dependent upon classes and events.